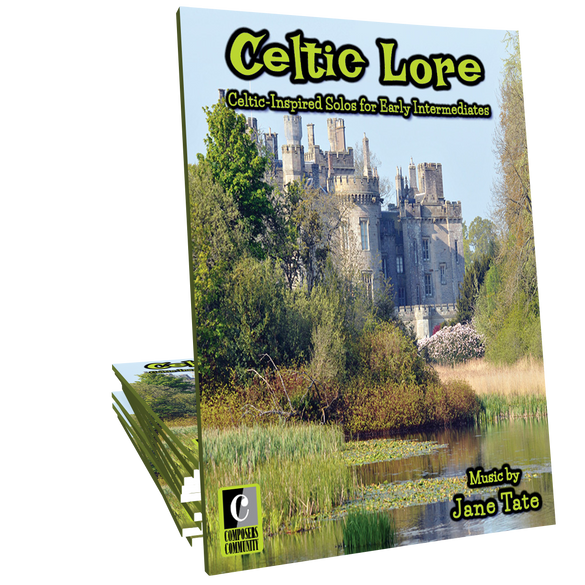 Inspired by her childhood years in Duns, Scotland, composer Jane Tate offers up Celtic-inspired solos for late beginners and early intermediates of all ages. The sound of distant pipe bands and romping Celtic rhythms permeate through this collection of ten piano solos. These pieces are so beautiful and are obviously a labor of love. My students, both young and old, love them! I have a couple of tween girls working out of these books right now. They have loved every piece so far. Beautifully written! I love the harmonies in these pieces. Full of surprises yet interesting for the player, the intricate and sometimes tricky rhythms challenge the player yet leave you wanting more.